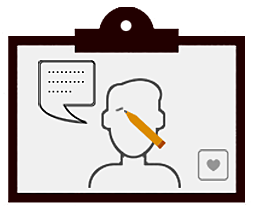 A whiteboard animation video is a process where the viewer sees your story being drawn ‘live’ on the screen as they watch. Whiteboard animations are designed to be straight-to-the-point with a minimum amount of colour to keep the viewer focus on the individual items being drawn by the artist’s hands and illustrated. A whiteboard animation is very similar to your school days when the teacher drew a concept or story on a blackboard. The modern equivalent, of course, is using an interactive whiteboard. Whiteboard animations are an excellent way to explain a complicated concept or theory visually and in an engaging way. The ability to produce a presentation without hiring presenters Hiring specialist presenters can soon add up. There is the site visits, investment in green screen equipment, expensive video camera hire costs (or purchase), set up times and an overall higher cost of production. Whiteboard animations are eye-catching and different and when done well can help you get your message across. They are also more immersive and exciting than slideshow-style static presentations which can glaze most people’s eyes over at the best of times. You can use your whiteboard explainer video on a variety of social media platforms of your choice, your website or even as a standalone presentation. You can also re-use your whiteboard animation on different platforms, and in edited lengths, depending on where you need to upload it to (think Twitter, Facebook). A far more entertaining way to engage with customers than expecting them to have to read pages of website text. A picture really can speak a thousand words. Whiteboard animations are the perfect way to get a tutorial or idea across. Time-proven, they keep the student focused on the screen and can help break down a concept into understandable modules. Watching a company policy video can sometimes make people’s eyes glaze over so why not make it more immersive? Another frequent use is for a company health and safety video. Make it fun (but serious) to watch and it can company policy video can make the difference between the staff actively taking your message on-board or finding it hard-going. Training videos need to have the edge when it comes to making your presentation and training engaging. Be a bit different and make it fun, immersive and out-of-the-box. Pitching a concept or idea to a group of investors can be particularly nerve-wracking. A whiteboard explainer video can be an ideal way to get your message across efficiently and concisely. Your closing call to action should tell your viewers what they should do after they have watched the whiteboard video, whether that is to visit a website, call a telephone number, buy a product or where they need to go to achieve this. When we work on your whiteboard animation, you can rest assured that our agreed price is the price you pay. There are no hidden extras, and everything included. Our professional team help guide you from start to finish, and all adjustments, script or visual changes, character customisation, music, voiceover and storyboard work is all part of the package. We understand the pressures many companies face and the importance of hitting your presentation or pitch deadlines. If you have a high priority project, we will discuss and try and accommodate your timeframes if resources allow. Our team is friendly, approachable and always willing to help you during any part of the process. Your personally-assigned whiteboard design project manager will work with you on a one-to-one basis and make the process easy throughout and help guide you through the steps and decisions along the way. Questions, whether you feel they are small or large will are answered quickly and precisely. Let us impress you – find out how we might be able to help you further with your whiteboard explainer video.